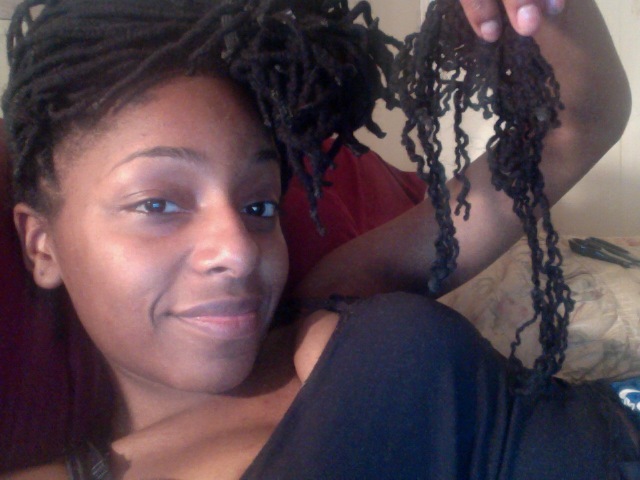 Back to the matter at hand, I'm finally getting the time to take down my genie locs. Yep. Doing that and writing this post as of now. I miss seeing my fro. Surprisingly. Not having to get up extra early to do my hair has been quite nice. It's been about two or three months since I've put them in. I have new growth everywhere and it's getting out of hand. They gotta go! !